A distinctive 14kt. 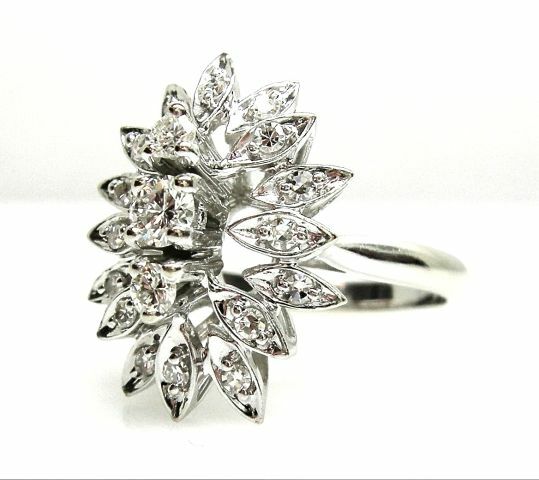 white gold custom made cluster ring, featuring 3 prong set round brilliant cut diamonds, est. 0.26ct. (colour: H-I-J & VS-SI clarity) and 16 bead set round single cut diamonds,est. 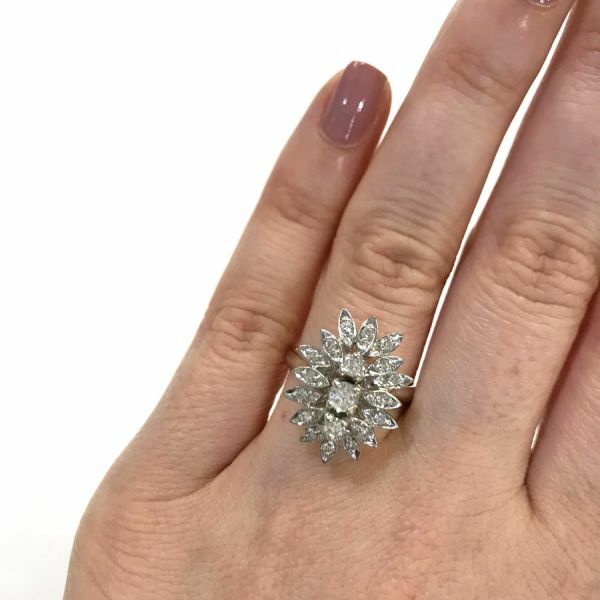 0.26ct. (colour: G-J & VVS-VS clarity).